Since our inception as an organization, we've established our teens arts program at East New York Family Academy, enabling our young adults to be empowered through arts and culture. Last summer, we were able to transition our cultural exchange portion from Skype to Cuba where the teens were able to engage with the local art scene in the country as well as continuing cross-cultural conversations about social justice, economic development, and the like through the arts. With the money raised, we hope to cover airfare, hotel/hostels/Air BnB stays, artists talks, tours, and Teaching Artists (TA) sessions. Our teens have worked hard at East New York Family Academy where they have earned a spot to travel to Cuba, embarking on a journey of a lifetime. We will still have many elements of what we on our last trip, where the teens will be involved with art crafting, project management, leadership development, strategic activism, and more. The teens from last year were also able to interact with Afro-Indigenous artists and youth as well as to synthesize the information they've learned from the trip in order to challenge the narratives in place of our community in East New York. We hope to continue this work as well for this year. Lastly, we have continued our partnership with many artists in Cuba, including Santiago Hermes who has featured his work at our Negritude exhibition last year. He will be contributing to our mural project that the teens will be leading where their education from the trip will be unvailed. Our Youth Programming has expanded exponentially in the ten years we've been active, and last year, we have transitioned our cultural exchange program from the online to the off. 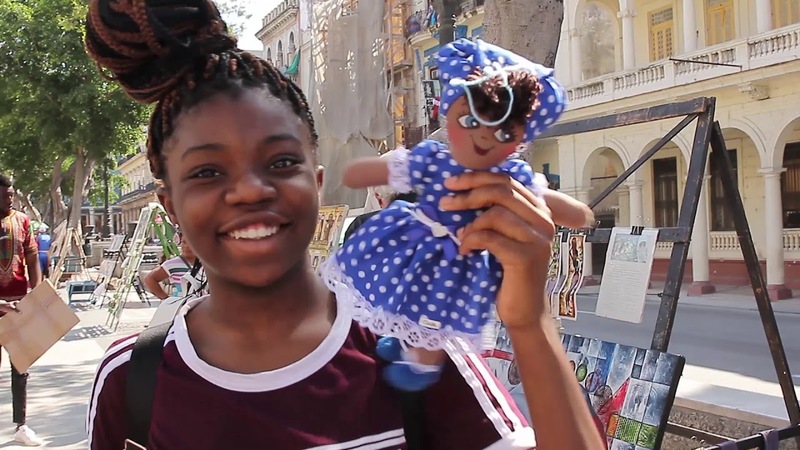 We can continue to grow with your help for this trip so that we can have many cross-cultural trips in the African diaspora for years to come. We secure the airfare tickets. We will secure the room and board. We will pay for meals throughout the trip. We will pay for transportation, tour guide fees, etc. throughout the trip. We will use the funds allocated for the Public Art project for June. The Public Art project will be a mural based on the teens' trip to Cuba. Santiago Hermes, one of the Cuban artists, will also be contributing to this project. We want to look at a future where our youth can strengthen ties abroad, especially youth from East New York, Brooklyn. We at ARTs East New York believe in a great deal of planting a good foundation for our youth so they can bloom into adults who can turn the ship around for our community. These hard working, visionary teens deserve the chance to experience different ways of life outside of the community and still interact with the African diaspora abroad, so that they can see themselves in others on how they are able to live, create, and grow. They will be able to bring that knowledge back here to this community, to disrupt, dismantle, and change the systemic issues that have shackled us for decades. Help us continue to build this path for them so that our future will be secured in our future generations' hands. Let us enable this continuum of cross-cultural exhange for our youth of today and tomorrow. Will go into our meal funds during the trip. Will go into our transportation funds during the trip. Will go into our room and board (Air Bnb) fares prior to the trip. Will go into our airplane ticket funds prior to the trip.